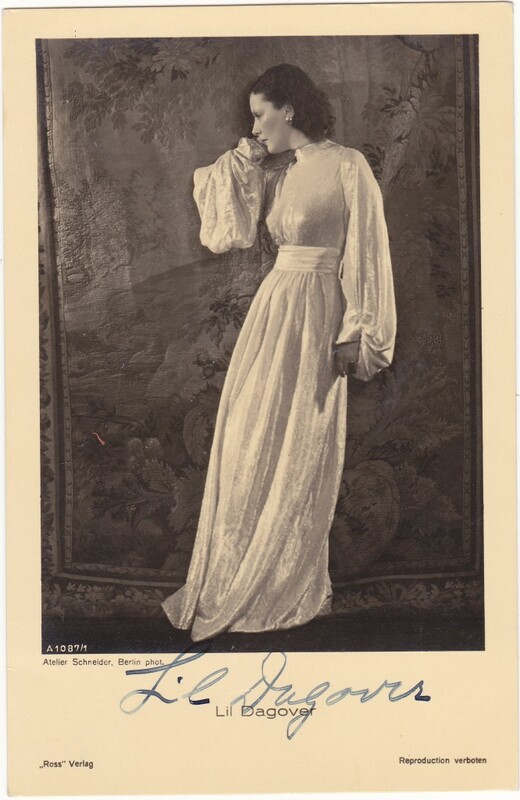 LIL DAGOVER (1887 – 1980) signed 1930s (?) 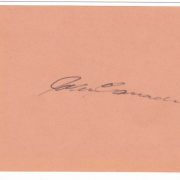 3½” x 5½” Ross Verlag postcard in blue fountain pen ink. Lil Dagover appeared in Das Cabinet des Dr. Caligari (Robert Wiene 1920), Der müde Tod (1921), Dr. Mabuse – der Spieler (Fritz Lang 1922) and many other, mostly German, films from 1916 until 1979.